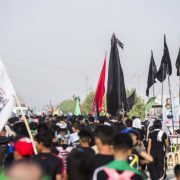 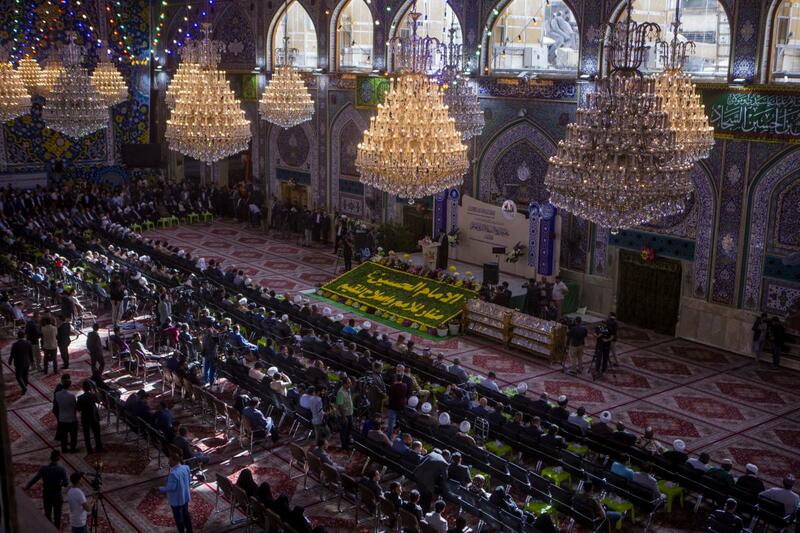 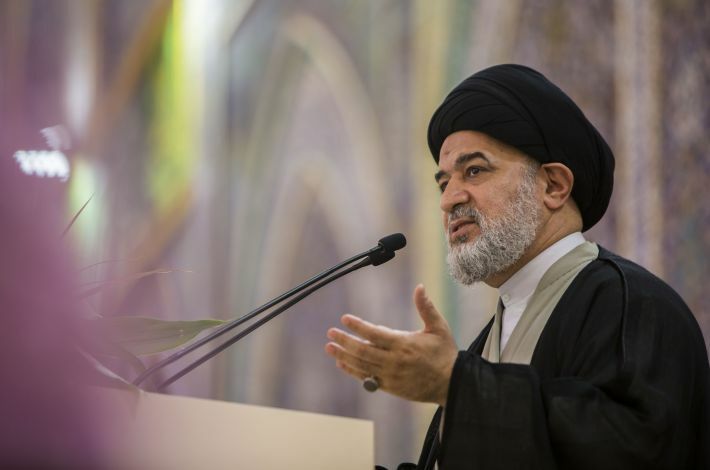 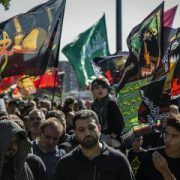 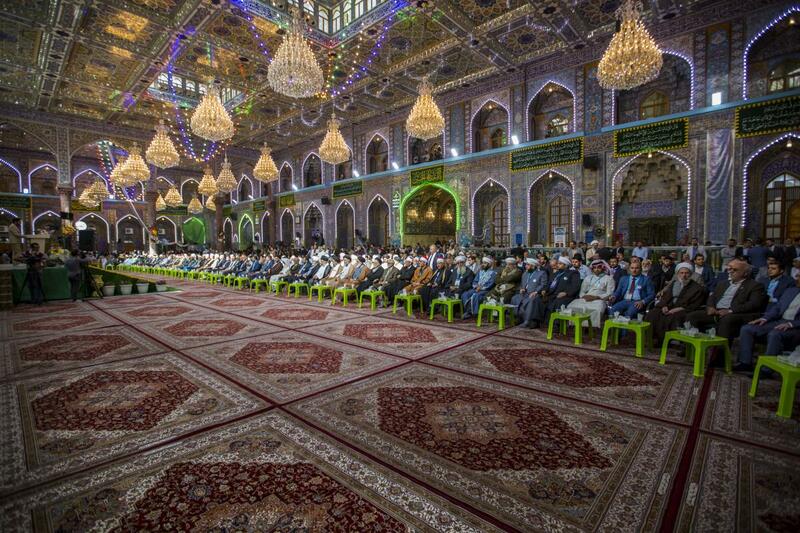 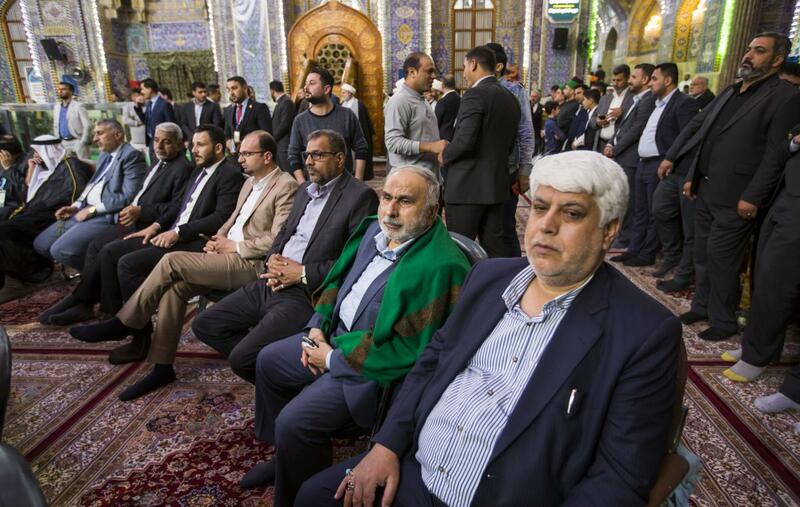 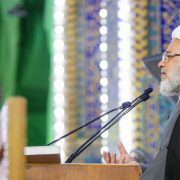 SHAFAQNA- Alkafeel: On Tuesday the 3rd of Sha’ban 1440 AH corresponding to April 9 2019, the holy shrines of Imam al-Hussayn and al-Abbas (peace be upon both of them) has opened the fifteenth edition of the World Cultural Festival of the Martyrdom Spring in the holy shrine of Imam al-Hussayn (peace be upon him), which is held to celebrate the birth anniversary of Imam al-Hussayn peace be upon him) and the Mohammadian lights in the great month of Sha’ban, under the slogan “Imam al-Hussayn (peace be upon him), the beacon of the nations and the reform of the values” from the 3rd to the 7th of the current month. 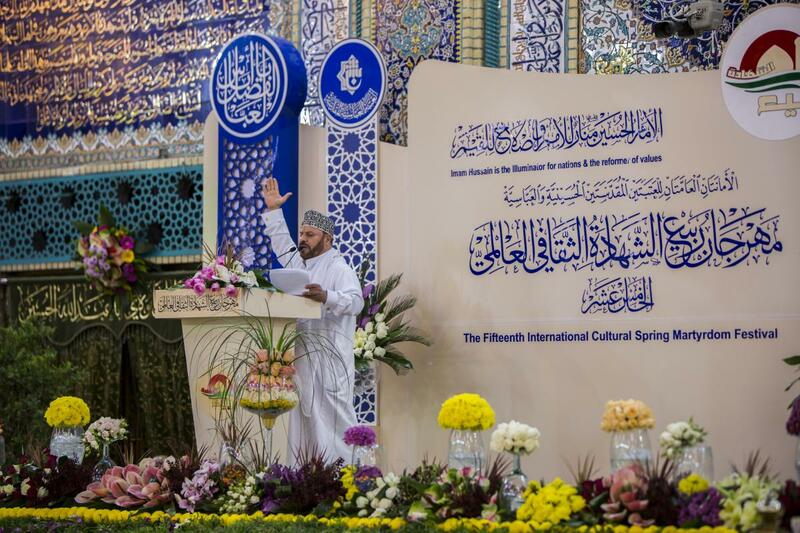 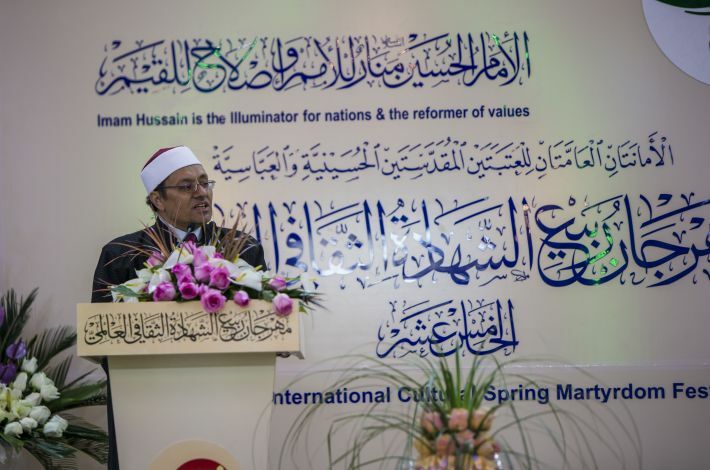 The opening ceremony was largely attended by religious, political, intellectual, cultural, literary, artistic and social personalities from inside and outside the country, as well as the presence of the representatives of the religious authorities and the holy shrines and sanctuaries, in addition to guests from 40 countries. 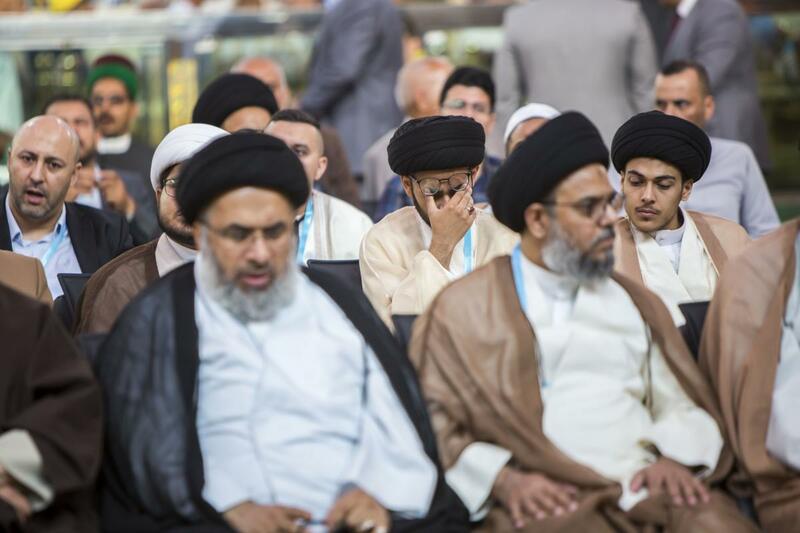 Delegations and personalities were from countries such as: Saudia, Bahrain, Kuwait, Oman, Egypt, Lebanon, Tunisia, Algeria, Morocco, Mali, Cameroon, Ivory Coast, Guinea Bissau, Guinea Conakry, Burkina Faso, Madagascar, Iran, Thailand, Sri Lanka, Bangladesh, Pakistan, Canada, Russia, France, UK, Croatia, Macedonia, Kosovo, Hungary, Germany, Netherlands, Azerbaijan, Congo, Liberia, India, Switzerland, Albania and USA. 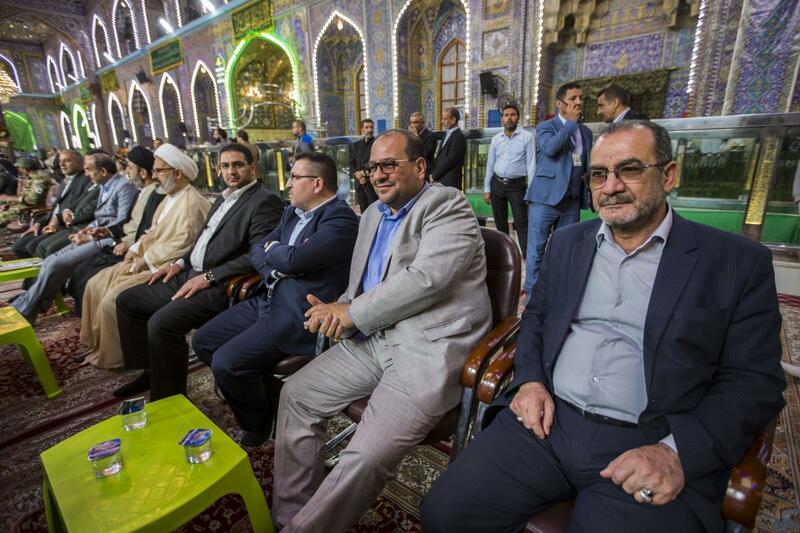 The ceremony was largely covered by 25 satellite channel in addition to radios, printed and electronic media, as well as the media of the two holy shrines. 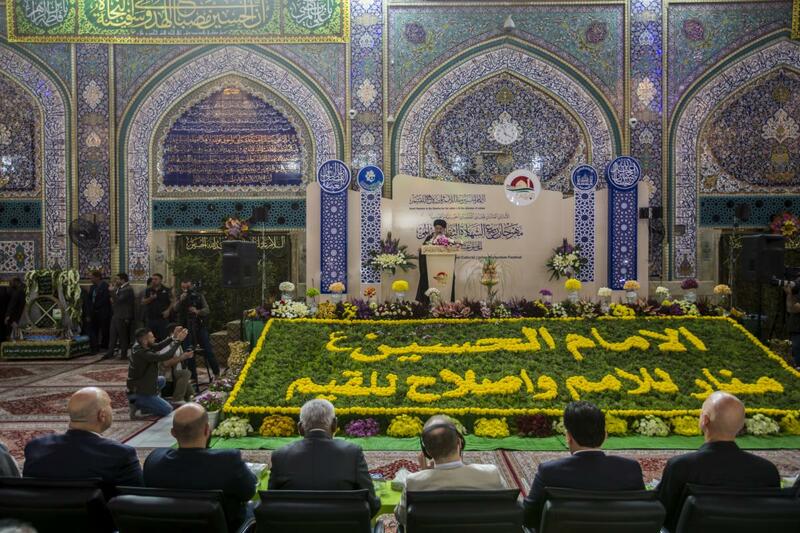 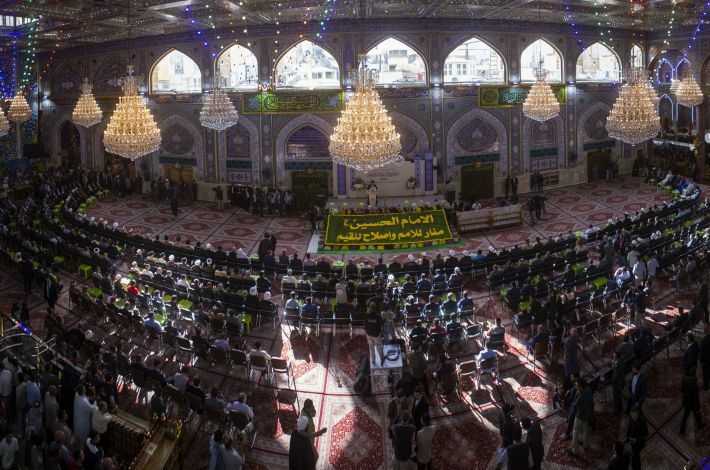 The opening ceremony began with the recitation of verses from the Holy Quran recited by Sayed Hasaneen al-Hilo, followed by the word of the two holy shrines, delivered by the Senior Official of the al-Abbas’s (p) Holy Shrine; His Eminence Sayed Ahmad al-Safi, who stressed that the balanced and moderate discourse is the perfect solution to avoid any kind of sedition. 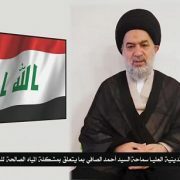 Followed by a poem by the poet and international arbitrator from Egypt Ahmed Bakhit, followed by the speech of the participating delegations delivered on their behalf by Dr. Mustafa Rashed, the Mufti of Australia and New Zealand and head of the United Nations High Conscience Organization for Human Rights, highlighting that Iraq and its people have all the credit for the Islamic Ummah, which is a historic fact. 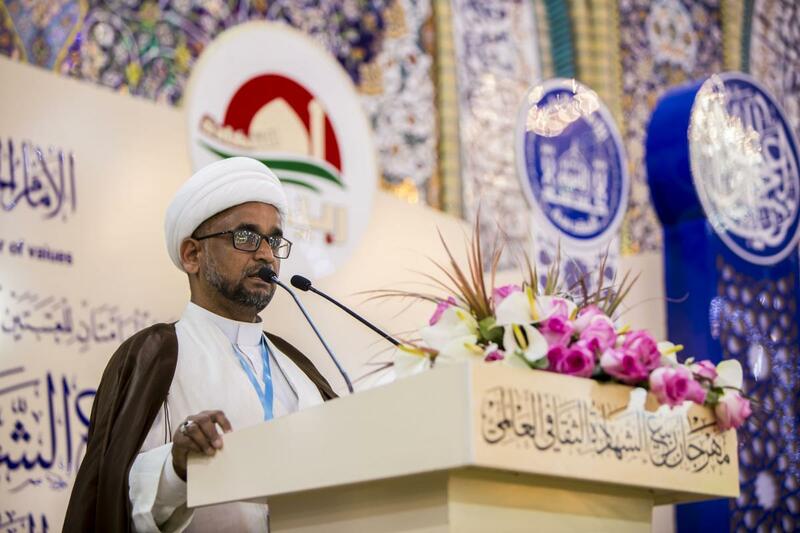 After that, the audience listened to a poem about Imam al-Hussayn (peace be upon him) of the poet Mehdi Shaker Al-Nuhairi who won the first place in the vertical poetry contest which is part of the festival. 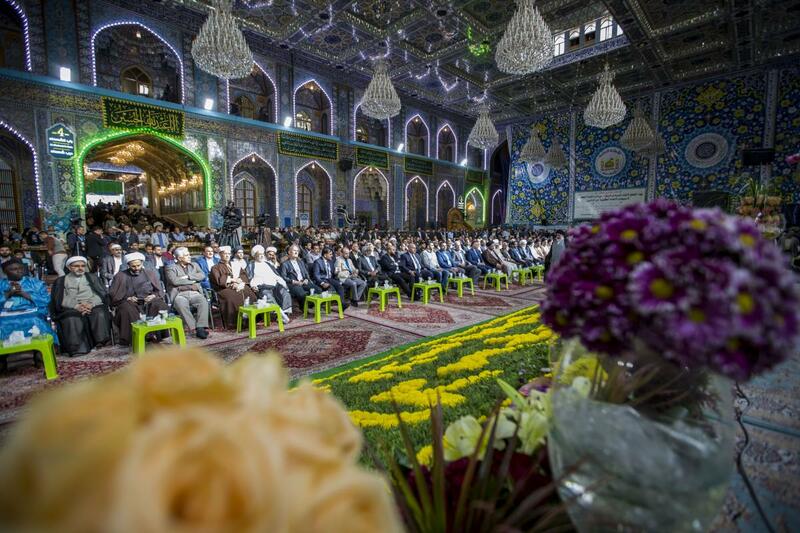 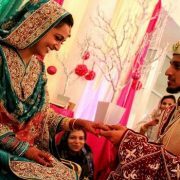 The ceremony was then concluded by chants and poems chanted by the Radood Mullah Jalil Karbalai. 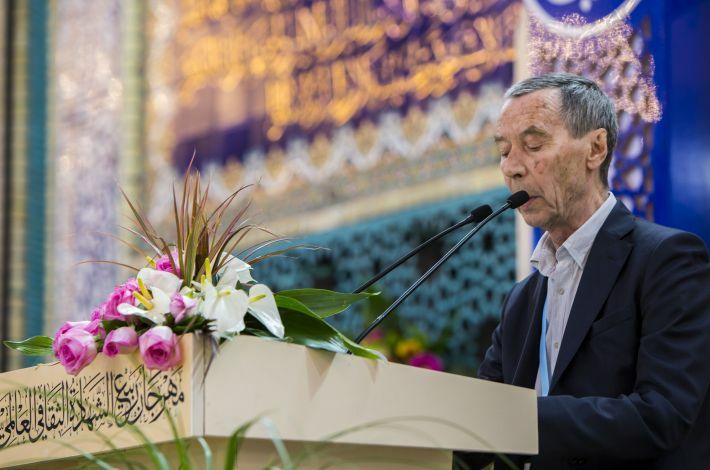 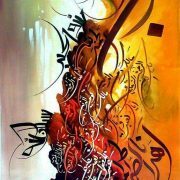 The events of the festival will continue this evening by the organization of a Quranic evening with the participation of local and international readers.